I had no car for most of this last week, as I was organised as ever and my MOT ran out before the garage could fit me in! I really realised as to how remote our village is..or more of how useless the transport links are around us!! Anyway, we got our car back, and I’m currently writing this weeks Living Arrows post while listening to the waves crash on the beach in St Ives, so I’m going to keep this short and sweet. As I said, I’ve had no car for most the week, so we’ve been restricted to our village during the day. There have been lots of trips to the park, and walks around the village. And to be fair, I was going a little stir crazy! 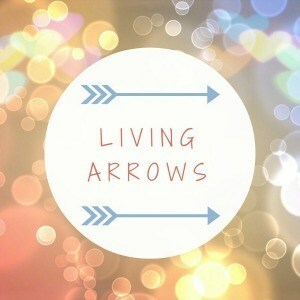 I love this weeks Living Arrows picture..as I love pretty much every weeks Living Arrows picture!! It’s from one of our many tips to the park. 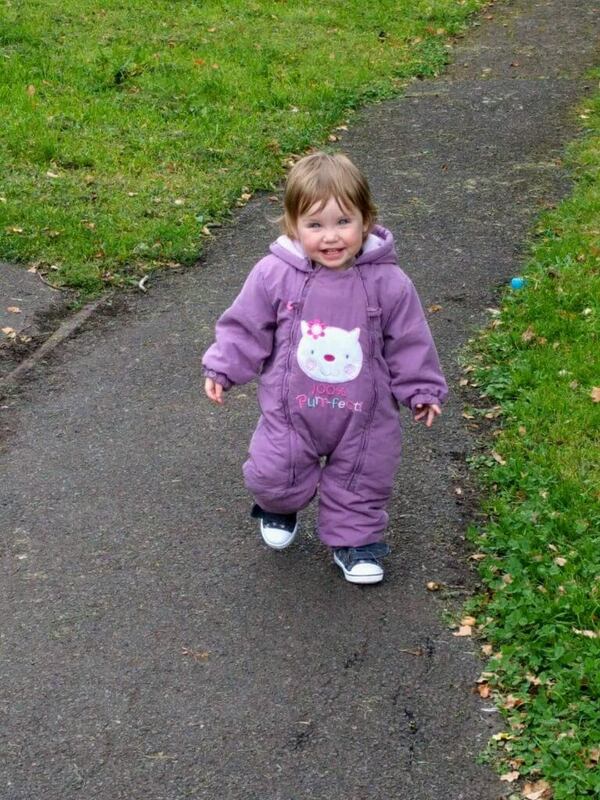 Isla insisted in walking nearly the whole way there and was so proud of herself. She would stop and wave at every person who walked past us, which was super cute. On this occasion, it took her so long to walk there that it was raining by the time we arrived at the park. She didn’t care in the slightest though. 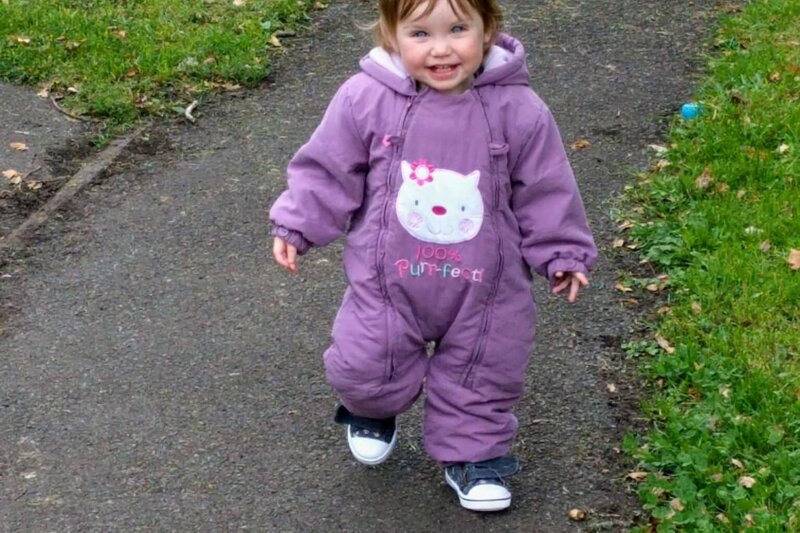 And thankfully Mummy was prepared and had put a suit on Isla, and was wearing a waterproof herself, so we could carry on playing at the park for as long as we wanted/Mummy could be bothered to stay there! Isla’s sleeping in still rubbish. But there’s definitely at least one more tooth coming through at the moment. On Thursday night we drove down to Bodmin, and it took her 2 hours to go to sleep. She then slept for the next 2 hours of the journey, but woke up at midnight when we arrived at our hotel. And refused to go back to sleep for the next THREE hours!!! After only hours sleep, she then woke up…and she refused to have a nap all day either. Probably too excited to explore St Ives, and play with her beloved Grandpa! Grandma offered to put her to bed (early), and she screamed. So Daddy went to put her to bed, and she screamed. So Mummy went to put her to bed…and she was asleep within 5 minutes! What a rarity! On Saturday she had a good play on the beach, digging lots of sand, splashing in the puddles, jumping over waves, and falling splat in the wet sand! I’m pretty sure her sleep times will be all over the place while we’re down here for the week, but nevermind. Her sleeping can’t be much worse than it has been over the last few weeks!